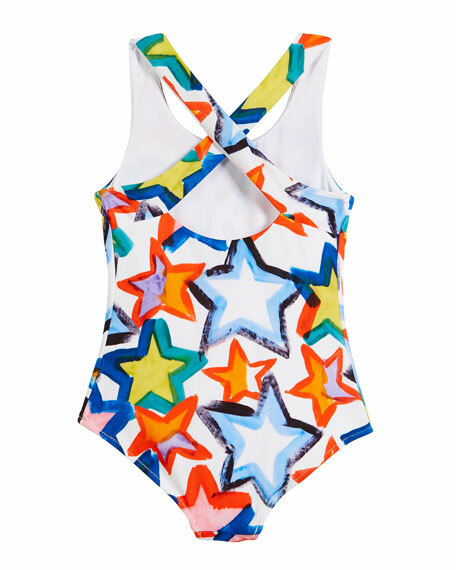 Milly Minis one-piece swimsuit in stars print. Scoop neckline; cross back with keyhole. For in-store inquiries, use sku #2559526. 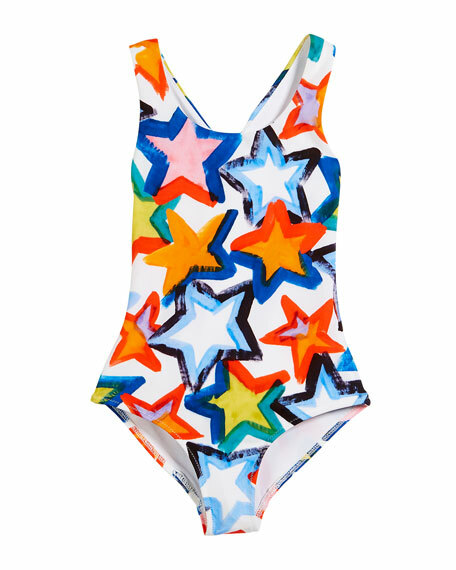 Gottex "Au Natural" one-piece bathing suit. Scoop neckline and back. Tapered shoulder straps. Classic silhouette. Tummy control. Full seat coverage. Nylon/spandex. Imported. Karla Colletto "Ava" one-piece in animal-print microfiber. Scoop neckline; ruffle trim. Molded cups with underwire support. Scoop back. Full seat coverage. Nylon/Xtra Life Lycra spandex. Made in USA. 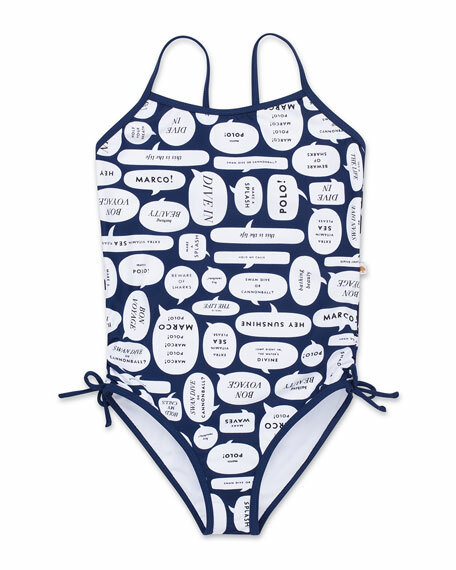 kate spade new york one-piece swimsuit in allover speech bubble print. Scoop neckline. Adjustable spaghetti straps. Gathered ties at leg openings. Full seat coverage. Self: nylon/spandex. Lining: polyester/spandex. Imported. Mikoh "Las Palmas" one-piece swimsuit with palm-leaf print. Scoop neckline; spaghetti straps. Cross detail at back. Maillot silhouette. Seamless design. Moderate seat coverage. Nylon/spandex. Hand wash. Imported.